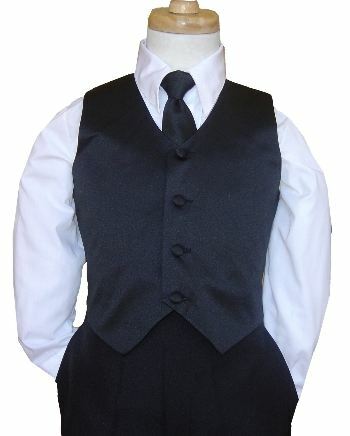 Solid satin full vest in black that matches the Bella flower girl dress with black sash. 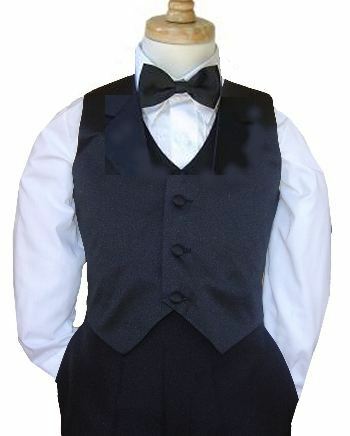 Choice of bow tie or pre-tied long tie. Ships in 1 - 2 business days. Runs small. Order up size. Sizes 2/3 - 16. Please refer to the PB Kids Boys size chart.